At 27, Hafsatu Kamara seems unstoppable. In the 10 short years since she began competing as a professional athlete, the Sierra Leonean–American sprinter’s high-powered, record-breaking runs have caught the attention of audiences worldwide. In 2016, she broke the Sierra Leone women’s records for the 100m and 200m dashes with explosive times of 11.61 and 23.83 seconds, respectively. That same year, she competed on the world’s stage at the Summer Olympics in Rio de Janeiro, Brazil. And Kamara shows no signs of slowing down. After each accomplishment, she always asks herself, “What’s next?” This drive has helped her excel not only as an athlete, but also as an exercise science student, personal trainer, philanthropist and marketing professional. She often combines these passions, and it shows in her work as marketing coordinator and club trainer for the Toluca Lake Tennis and Fitness Club, which she balances with regular training at the University of Southern California. We caught up with Kamara to talk about her journey to the Olympics, how she came to work and train in Toluca Lake, and her surefire tips for getting fit and staying healthy in the new year. 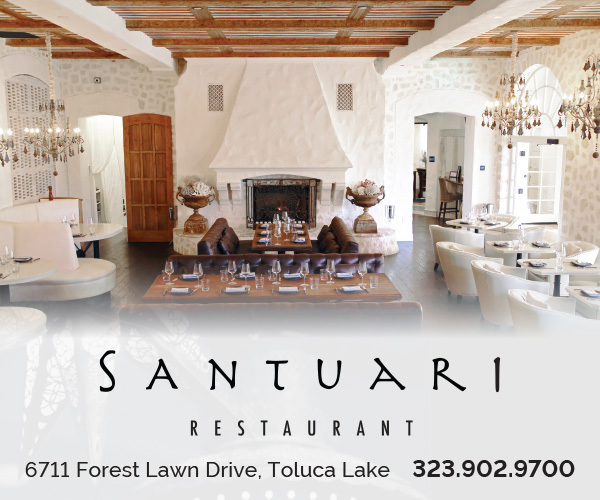 FEELS LIKE HOME Toluca Lake’s small-town, homey vibe and community events make Kamara reminisce about her childhood and teen years growing up in Hamilton, New Jersey. “The annual Holiday Open House reminds me of the holiday block parties we had back home,” she says. “The gathering makes me think of my family.” Photo by Daniel Deitch. Kamara was born in the U.S., but spent her youth living with her grandparents in Sierra Leone. It was there she got her start in track and field, competing under Team Orange in the national holiday kids’ competitions at the National Stadium in Freetown. Excelling in those competitions, she says, cultivated her passion for running. Her time in Sierra Leone, however, was cut short. The country’s devastating civil war, which began in 1991 and would end in 2002, exploded into violence in the late 1990s and forced Kamara and her siblings to return to the U.S. to live with their parents in Virginia. Her fledgling track career was put on hold. The family then moved to Hamilton, New Jersey, where Kamara kept up her active lifestyle in school with sports including basketball, soccer, softball and dance. It wasn’t until her senior year at Nottingham High School that she returned to track, competing as a sprinter for the Northstars varsity track and field team. “At first it was just for fun; all my friends were on the team,” she says, but her strong performances in the 100m and 200m events opened her eyes to her potential as a serious runner. With top times of 12.0 and 25.3 seconds, respectively, she was setting records and receiving numerous awards, including college scholarships. “Once I started receiving scholarships, I thought, ‘OK, well, they’ll pay for school and all I have to do is run,’” she says. The breakthrough year gave her the push she needed to pursue running in college and beyond. 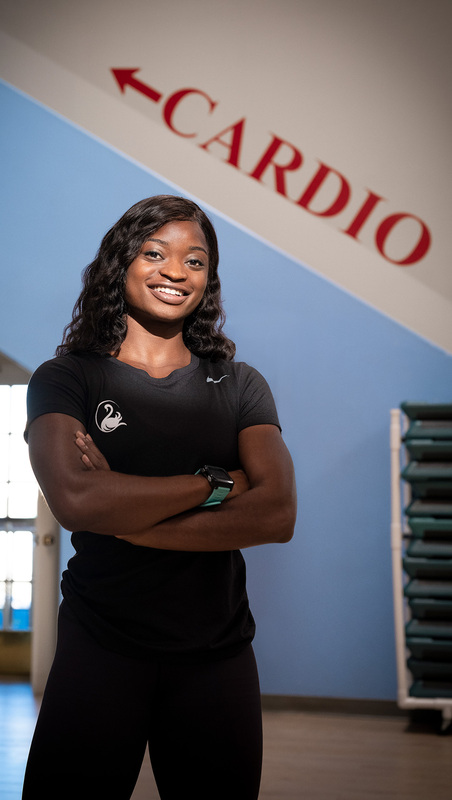 GOING FOR GOLD Kamara has her sights set on Tokyo 2020, but before that, she’s competing in two international competitions and launching her nonprofit foundation, Salone Dream. Photo by Daniel Deitch. During this time, Kamara also declared herself as a Sierra Leonean athlete, though her dual national identity made the decision to represent one country over the other a difficult one. After graduating from CSUN in 2014, Kamara relocated to Arizona to train at Altis World, an elite track and field training center. In between training for the 100m, 200m and relay, and working as a speed coach and physical therapy technician in Paradise Valley, she competed in various international competitions, including the 2014 Commonwealth Games in Scotland, the 2015 World Championship in China and the 2016 African Championships in Durban, South Africa. Her performances eventually earned her a spot to compete in the 100m event in the 2016 Olympics, one of four Sierra Leonean athletes chosen that year. “I was in shock when I learned I had made it to the Olympics,” she says. “When I was a child, I remember watching the 2008 Olympics when Usain Bolt broke world records [for 100m and 200m], and it was awe-inspiring. I never thought I would be on that screen, sharing that same stage with those very people. It just manifested on its own.” Before she knew it, she was in Brazil’s Olympic Village, brushing shoulders with the world’s top athletes. After the fanfare of the opening ceremonies, Kamara instantly went into competition mode. “We’re here for work, so let’s get the job done,” she recalls saying to herself. “I really had to focus on doing what I was taught and what I had practiced for so long.” But the lights, cameras and thunderous roar from the stadium crowds added to the competitive, nerve-racking atmosphere and made for a challenging race. Despite successfully advancing from the preliminaries, Kamara got a slow start off the block in the next round, finishing last in her heat. She didn’t qualify for the semifinals. PERSONAL BEST “As a personal trainer, my goal is for my clients to build up enough confidence to be able to work out independently, for their own health and to obtain the results they want,” says Kamara, who, in between her training, takes on clients at the Toluca Lake Tennis and Fitness Club. Photo by Daniel Deitch. Off the track, Kamara is a modern-day Renaissance woman. While training and working in Arizona, she invested in learning social media and marketing to help build her own personal brand and develop partnerships with sports companies. When she returned to California in 2017 to train with World Championship medalist and USC alumnus Ryan Wilson, she saw that the Toluca Lake Tennis Club was hiring a marketing coordinator and decided to apply. In her first year on the job, she’s helped bolster the club’s online presence with innovative content, such as the popular Workout Wednesdays videos she produces and stars in. She’s also been able to continue her work as a personal trainer there. “At the Tennis Club, I combine passions for developing the skills of athletes and developing the identity of businesses,” she says. She also aspires to give back to Sierra Leone. Through her foundation, Salone Dream, she aims to provide children there with equipment and resources to participate in sports. She wants to educate youth about the opportunities available to student athletes, such as educational scholarships, and ultimately wants to leave a legacy enacting change in the culture, especially for young girls. After completing her clinical doctorate in physical therapy, for which she’s currently studying, another of her goals is to open up a clinic in Sierra Leone that focuses on physical therapy and emotional wellness, two areas of health where she says the country lacks resources. With many more races, professional endeavors and philanthropic projects on the horizon, Kamara has a lot to look forward to. 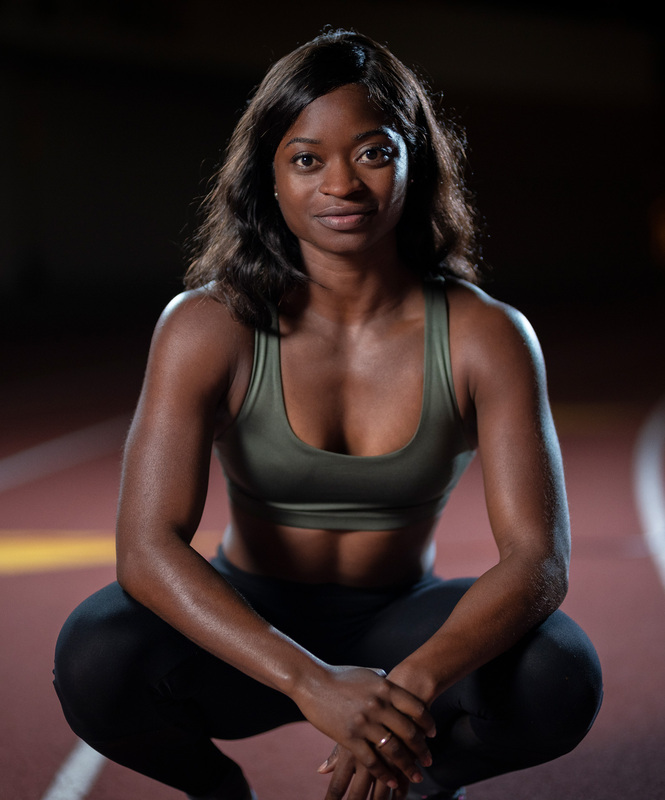 This year, she’s training for two international competitions, the World Championships in Qatar and the All-Africa Games in Morocco, in addition to Tokyo 2020, and planning the launch of Salone Dream. And it’s all part of her plan to put herself and Sierra Leone on the map. Want to learn more about this amazing athlete? Read “Train Like an Olympian” for Kamara’s tips on staying motivated and effective warmups you can incorporate into your own workout.